Depression, anxiety, and other mental health issues now affect more than 300 million people worldwide according to the World Health Organisation, and more needs to be done to educate and inform people about what we can do to manage them, especially since they are usually also the underlying cause of many other social issues. A great way to care for our mental health is to care for a pet. Those of us who have a dog in our life know just how important they are to help us stay fit, keep socialising and live life to the full. 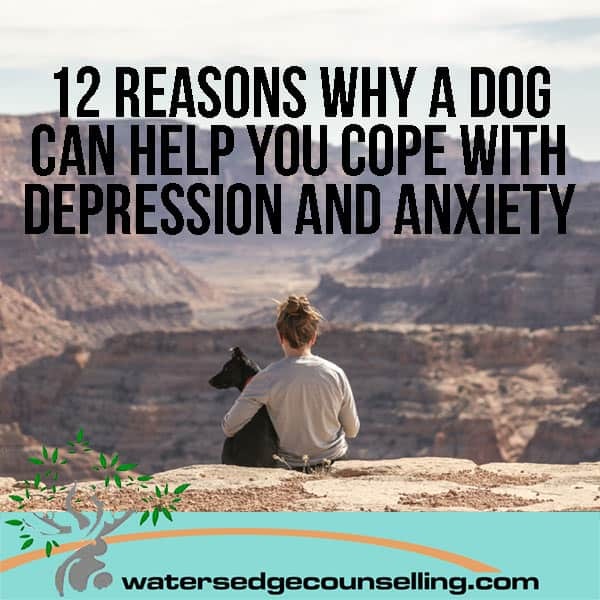 My team and I at Pet Gear Lab created this infographic to highlight 12 reasons why a dog can help you cope with depression and anxiety. Take a look and make time in your day to experience the health-benefits of animals. Take your dog for a walk, cat-sit for a neighbor or go to an animal refuge and choose your own pet—not only will it improve your health, it will also give you a friend that will last a life time. For more information about the holistic benefits of pets visit petgearlab.com. Do you struggle with a mental illness? Would you like to learn about day-to-day strategies you can use to soothe yourself? Call Colleen on 0434 337 245 or Duncan on 0434 331 243 for a FREE 10 minute consultation. To make an appointment, go to BOOK NOW and you will be able to access Watersedgecounselling’s online appointment diary.